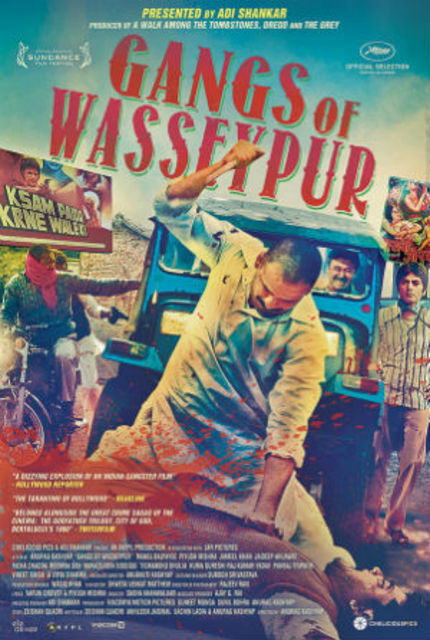 The Historic Texas Theatre in Oak Cliff and ScreenAnarchy are teaming up to co-present a pair of very special screenings of Anurag Kashyap's Gangs of Wasseypur and we want to give you one of four pairs of passes for this epic event! The two-part saga will be shown over two nights. Gangs of Wasseypur Part I, featuring Tigmanshu Dhulia and Manoj Bajpai, will screen one night only on Sunday January 25 at 7:15 p.m., followed on Thursday January 29 by Gangs of Wasseypur Part II, the epic conclusion featuring the return of Dhulia and Nawazuddin Siddiqui, at 7:15 p.m. This will be Dallas' only opportunity to see Kashyap's epic on the big screen and we want you there! The Texas Theatre has donated 4 pairs of tickets for the complete epic to ScreenAnarchy for the occasion. That means that four lucky folks will win tickets for both parts, and you really need both to make the thing work. All you need to do to win is drop me a line at josh[at]screenanarchy.com. On a personal note, I harassed every programmer I know in Dallas to get them to book Gangs of Wasseypur, and The Texas Theatre was the only place that ponied up, so I want a great crowd in there. It's a wonderful, epic masterpiece that I haven't yet seen on the big screen, and that's an experience I can't wait to share. Hit me up! I'll randomly choose 4 winners on Saturday at 5:00 p.m.